Balal Muhammad is a bad, bad man. 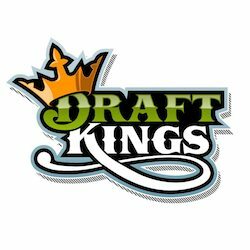 I think originally the bookies had this fight as a pick’em, and DraftKings had both fighters priced the same at $8,100, but we thought Muhammad was the clear favorite. 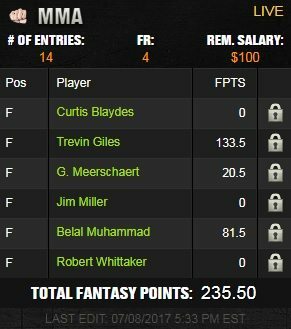 We put Muhammad in our lineup and also bet on him to win. At the time of the fight, Muhammad was a -135 favorite but that was still good in our eyes and bet on him to win straight up as well as included his fight in some parlay bets. Jordan Mein has always had a lot of hype around him and he’s still only 27 years old, but he fights like an old man. He gets gassed easily and can’t take body shots (not sure about his chin) whereas Muhammad can get hit in the face with a sledgehammer and keep coming so we weren’t sure how this fight was going to go, but we didn’t see Muhammad losing it. We were right. 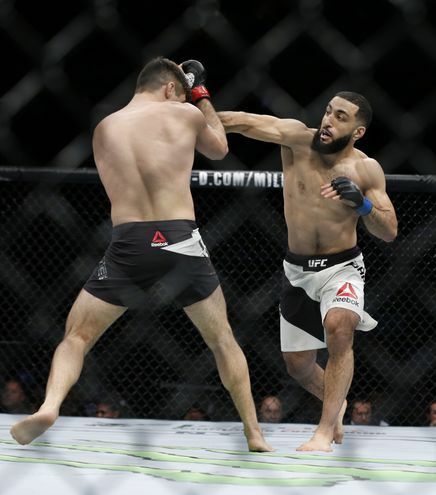 Belal Muhammad scored 45 significant strikes, 4 takedowns, 3 advances and won by decision for 81.5 points. This is a guy that is not going to be a fun fight for his next opponent.